Coal-fired steam electric power generation consumes tremendous amounts of water and generates large volumes of wastewater and wastewater byproducts. Three of the more difficult waste streams to manage are Flue Gas Desulfurization (FGD) purge water, leachate from power plant landfills, and wastewater from generating station evaporation ponds. Heartland’s LM-HT® Concentrators offer unique proven approaches to treat these challenging waste streams in a single-step evaporative process without the need for pre-treatment . Proven, proprietary LM-HT® Concentrator technology uniquely positions Heartland to offer the power industry simple, effective and reliable solutions to wastewater management challenges. 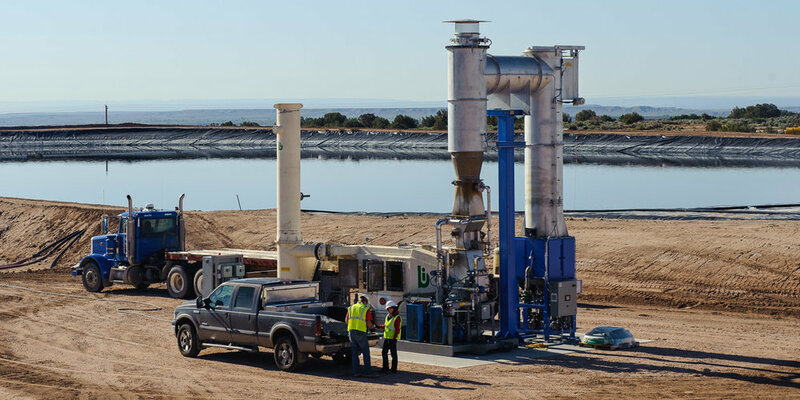 Our reliable treatment system is capable of processing the diverse range of water chemistries found in evaporation ponds, FGD purge water and landfill leachate created from bottom ash, fly ash, boiler slag, and other FGD byproducts. Residuals may be further solidified using a proprietary process for landfill disposal, generally passing both the USEPA TCLP and Paint Filter tests.